Runners and Pebble owners, the time has come for your new smartwatch to become a legitimate option as your running partner. Runkeeper updated this morning to include official support for the darling of Kickstarter, bringing real activity functionality to the watch that has for the most part been lacking since launch. 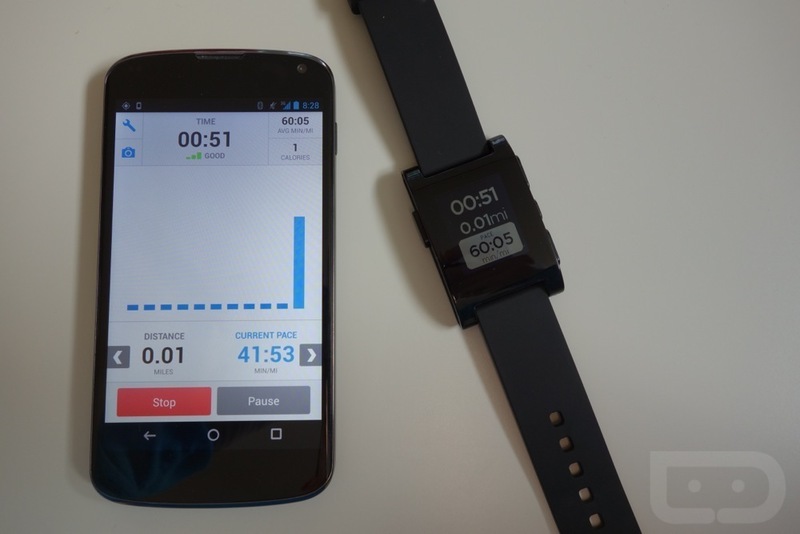 In order to utilize Pebble with Runkeeper, all you need to do is pair your Pebble to your smartphone, update to the newest Runkeeper, and launch a new activity. Once launched, your Pebble should automatically display your progress (image above). Along with Pebble support, Runkeeper now has a widget for both your lock screen and home screens. You can start, pause, and stop activities without having to unlock your phone or fully launch the app, assuming you are running Android 4.2+.